With CEREC at our side, you can be in and out in a single visit with a permanent, all ceramic crown, onlay, or veneer! For you, the patient, this means fewer injections, less drilling, and less time out of your hectic schedule for dental care. Most dental restorative methods require more than one visit to the dentist. This means that on the first visit, you get an injection of anesthesia, your tooth prepared, an impression taken, and a temporary restoration put on your tooth. You make a second appointment for a couple of weeks later, get another injection, have the temporary pried off (if it hasn’t fallen off already), and have a permanent restoration put on. Why go to the dentist a second time when you don’t have to? With CEREC, the procedure is done in a single appointment, start to finish. First, we examine the tooth and determine the appropriate treatment. It could be a simple filling, or a full crown, depending on how much healthy tooth structure is remaining and the clinical judgment of your Dentist. Next, we administer an anesthetic and prepare your tooth for the restoration, removing decayed and weakened tooth tissue. This preparation is just like we would do for many other restorative techniques. We then take an Optical Impression of the prepared tooth. Instead of filling a tray with impression “goop” that you must bite into and hold in your mouth until it hardens, we coat the tooth with a non-toxic, tasteless powder. A camera is then used to take a digital picture of your tooth. This whole Optical Impression process only takes a minute or two. Next, the CEREC machine helps us create the restoration for your tooth. The CEREC 3D software takes the digital picture and converts it into a 3-dimensional virtual model on the computer screen. 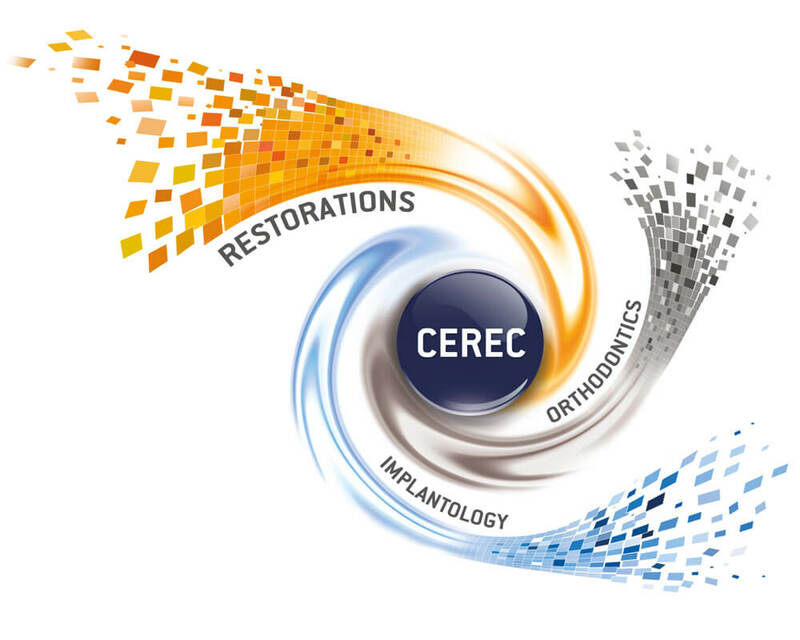 We then use our dental expertise to design the restoration using the CEREC 3D computer program. Within a few minutes, we click a button, and the restoration design data is sent to a separate milling machine in the office. A ceramic block that matches your tooth shade is placed in the milling machine. About 10 – 20 minutes later, your all-ceramic, tooth-coloured restoration is finished and ready to bond in place. Finally, we try the restoration in your mouth to ensure proper fit and bite. The restoration is then polished and bonded to the prepared tooth. Your tooth is restored with no “temporary” or return trip necessary. All of this is done in a single appointment! We’re here for you and can schedule and appointment during surgery hours.